Ever wondering if there is any CBD oil dosage guideline? How many drops of CBD oil should I take a day? The right CBD oil dose shouldn’t show up on drug tests? CBD oil can be effective therapeutically at a wide range of doses. There’s no standard dosage that’s right for everyone. Here are some specific clarifications you need to get right. One does not need to dab or vape high dosage of CBD oil to get maximum benefits from medical cannabis, it majorly depends on your personal decision and also striking a balance with your health specialist suggestions since you can legally have access to use CBD oil as long as you are of the legal age range. Figuring out the optimal dose of CBD oil may sometimes involve a trial and error process. Sometimes a balanced ratio of CBD with a little percentage of THC could have a greater therapeutic effect in some chronic health conditions than pure CBD oil alone. 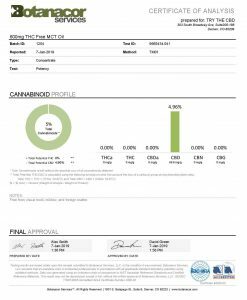 However, almost all CBD products at TRYTHECBD store carries the right percentages of chemical components of each product on the packaging label or box. 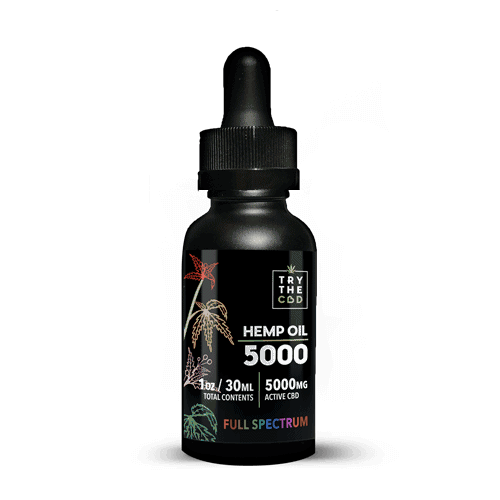 So, that you can easily adjust the amount of CBD and THC, or totally cut down on THC for Full spectrum CBD oil until you find the sweet spot with the right effect that suits your needs. 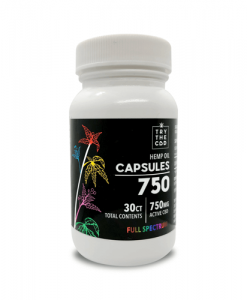 In essence, the goal is to administer consistent, measurable doses of a CBD-rich cannabis remedy with as little THC or no THC at all to specifically meet your needs. Start the trail by taking one drop only on the first day. It’s essential to take notice of how you feel and how your body system reacts as everyone reacts differently. It rarely irritates, but it may sometimes do on the first dosage. Therefore it’s crucial you stop to discover what went wrong. If all goes well after the first day, then increase the amount to 2 drops per day for the first 1 to 2 weeks. This is the testing period to see if it is helping any of your symptoms. Ever tried CBD vaping? 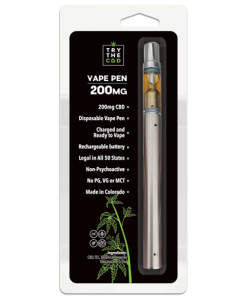 Shop now CBD vape pens, carts, and oils. After two weeks of the successful trial, you can consider spreading the drops throughout the day. For example, take one in the morning and one in the evening. If you don’t experience any change, then increase at a slow rate and see how you feel. With each person, it is a question of finding the right dosage. 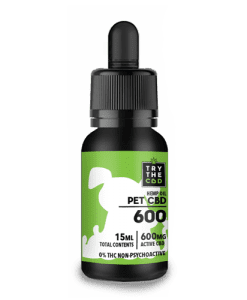 Remember that TRYTHECBD will always provide you with a flexible CBD oil tincture for easy dosage and also recommend you to put the drops under your tongue and let them take effect for at least 20 to 40 seconds. It is also recommended that you try increasing dosage every 2-4 weeks until symptom relief. And to decrease the amount of CBD intake with any worsening of symptoms. For many CBD oil users, it may be best to start with low doses of a CBD-rich remedy. And slowly increase the dosage and, if necessary, the amount of CBD one step at a time. Take a few small doses throughout the day, rather than one big dose. However, if you are starting with CBD oil, then remember to start little and do not attempt to copy others. Be calm when starting out CBD oil, as you would do for any administered health products. It’s imperative to know how your body reacts to CBD. Increase the dosage gradually and if you feel that the CBD oil is positively affecting you. Then you already found a gold mine. Also, here are few clarifications to consuming CBD oil effectively. The drops should be dependent on the dosage that is optimal for the user. As everybody is different shapes and sizes, it also meant the dosages and in turn the drops. Going in with same drops or dosage is not recommended as it can some effects that should not be there and they will all be related to the dose that is not optimal for you but for someone else. This shall be avoided at all costs as there can be adverse effects related to it. 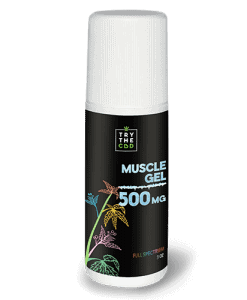 The correct way to it is that one should first find the optimal dosage of CBD for own self. Naturally, it will be based on the shape and size of own self. Finally the drops again, in turn, will be based on the dosage itself. Dosage is usually based on the size and shape of the user so why no go by it and risk everything for an overdose. 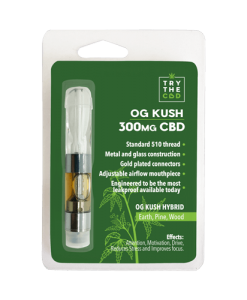 CBD is most commonly taken orally in a concentrated paste or drops/ tincture format. To take CBD oil first hold it under the tongue to be absorbed in the mouth prior to swallowing. This step is important because some of the CBD taken will be broken down by the digestive system. Other oral methods include capsules, mouth strips, and edibles such as chocolate bars. 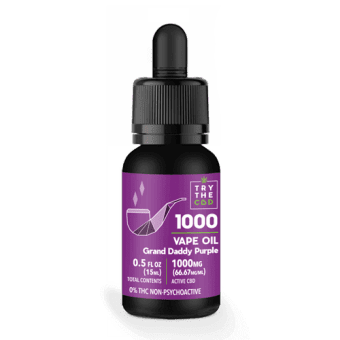 Many people also enjoy using CBD vape oil or CBD e-liquid via vaporizers or inhalers as this is a near instant delivery method that can be quite effective. Others use CBD oil by taking it through the skin via lotions, balms, creams or patches. 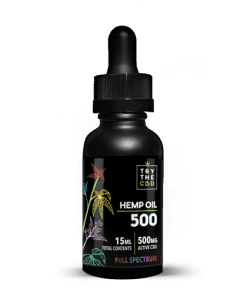 There are many ways to take CBD oil, what matters most is trying a few different approaches and seeing what method specifically works for you. Again, be mindful that everyone is different and do not imitate others dosage lifestyle. When your employers give you a drug test, they need to know whether you’re taking any substance capable of inhibiting your job ability. This is understandable. Why should you be paid if you’re incapable of optimum performance due to a drug or substance you’re using? Your employer has no cause for alarm if you’re taking CBD oil since it has no mental side effects, so far you have mastered the possible effects of the current dose you are taking. 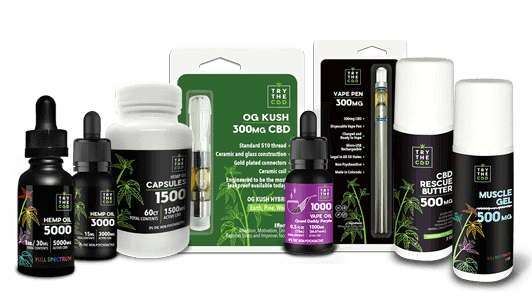 Most drug tests look for THC, and many stores like TRYTHECBD has THC-free CBD oil products available in various concentrations. Many workers who consume CBD oil for anxiety relief may discover that they can even increase or decrease their dose perform optimally at their jobs. Nevertheless, consult your doctor and or employer if you have any concerns about this. 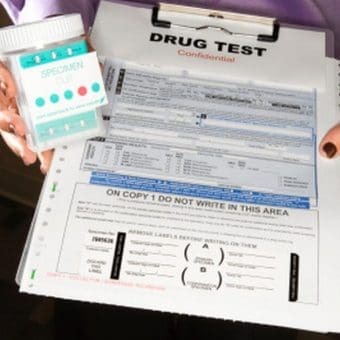 We cannot guarantee that you will pass or fail drug tests for a legal reason. You should discuss this with your employer or agency administering the drug test. 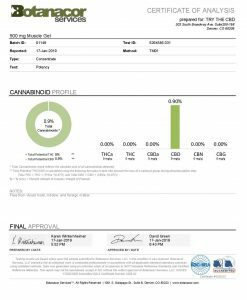 Also, various preclinical studies have shown that full-spectrum CBD-rich cannabis oil (with very little percentage of THC constituent) is efficacious at much lower doses and has a much wider therapeutic window than pure, pharmaceutical-grade CBD. But then, the final decision is yours; you are responsible for your actions. Dose responsibly and be informed about the dosing procedures. But to ease off your anxiety we can help you by saying that it is not CBD that makes us high but THC (Tetrahydrocannabinol) is the thing that makes us high. THC is essentially is a chemical compound that is just like CBD found in different strains of cannabis. Every strain has a different concentration of CBD and THC. If one of the strains has a high concentration of THC then it will indeed make you high. This is why most of the drug or medical test are made to detect THC in the bloodstream. 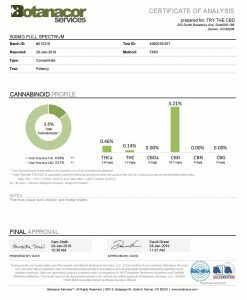 These test can detect THC from all the way up to your hairline, where some concentration can be found on the hair follicles even around the period of 3 months. But if it is CBD that you took or a strain with a higher concentration of it then there is nothing to worry about. You will only have a negligible chance of getting detecting through it. This entry was posted in Featured Story, Must read articles at Buy CBD Oil | Hemp CBD Oil for Sale | Cannabidiol Oil, Science behind CBD and tagged cbd dosage, cbd drug test, CBD Lifestyle, CBD on drug test, how many drops of cbd oil should i take.